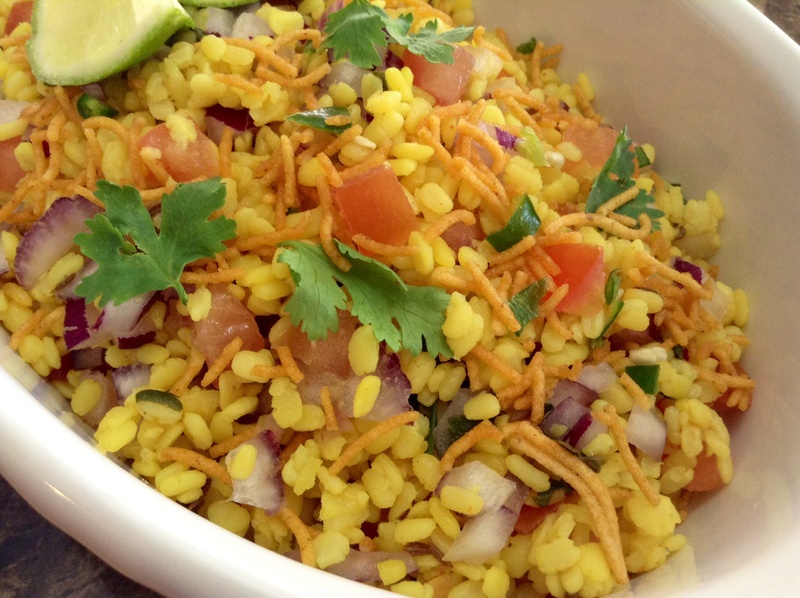 A delightful medley of colors and textures that provide a healthy alternative to the traditional bhel…Great for anytime snacking! 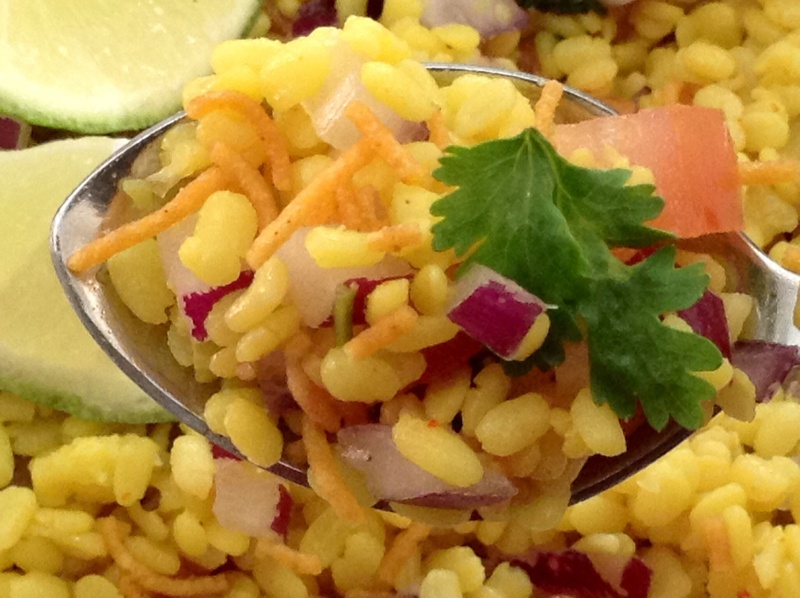 To prepare the moong dal…. Soak moong ki dhuli dal in warm water for an hour. Drain and keep aside. Heat oil, add jeera, grated ginger, minced green chillies, and the drained dal. Also add a little haldi, some salt to taste and a generous squeeze of lime. Sprinkle liberally with water and cover with lid. Lightly steam the dal till just about cooked….but the grain still has a little bite to it (eldente). Cool dal, if you can refrigerate it…it’s even better. Finely chop onions, tomatoes and green chillies. Toss them with the cooled dal. Adjust seasoning (salt and lemon juice). 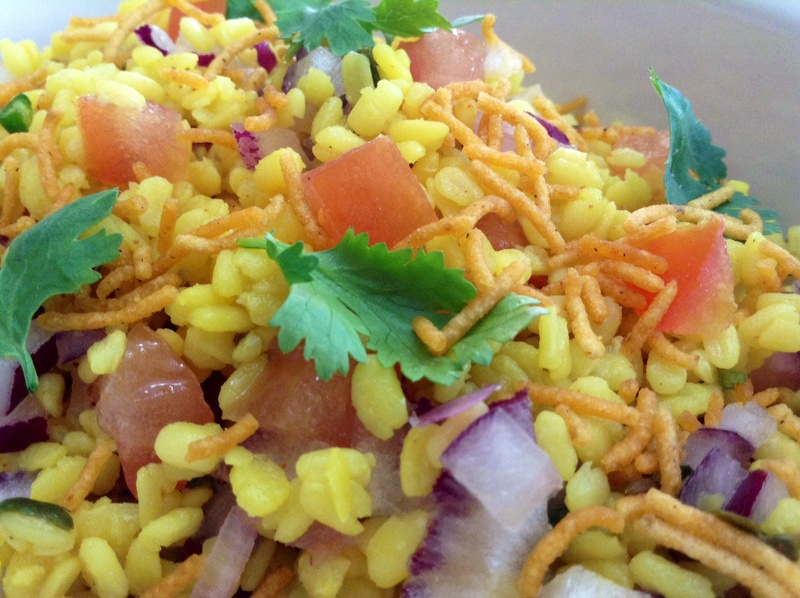 Serve with a garnish of freshly chopped dhania and a light sprinkle of alu-bhujia for that extra crunch…..yummm!